"No rest for the wicked, Commander!" 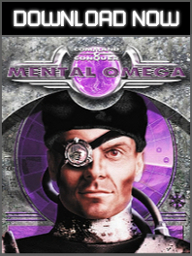 Mental Omega: Almost Perfect Yuri's Revenge is a non-profit Command & Conquer project by fans, for fans. 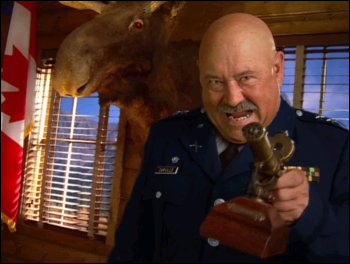 With ambitious plans to revamp the Westwood's classic Command & Conquer Red Alert 2 Yuri's Revenge, we'd like to invite you to join our project. There are still things we want to do so perhaps you might want to help us make the mod even bigger and better. 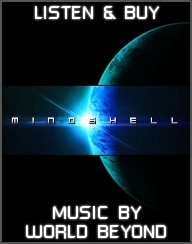 Red Alert 2 Map Makers & Mission Designers: Mental Omega 3.3 provides over 60 new missions for singleplayer & over 30 for multiplayer cooperative. To speed up our work, additional map makers are always welcome. Being able to script missions is a big plus as we need scripters more than map layout designers. Skirmish map creators are welcome as well. Voice Actors: New units and missions require new voice-overs. While right now almost every unit has its own unique voice, new ones might appear in the future. There is also a matter of providing new voiceovers for the campaign, cooperative missions and challenge maps. It would be a hit if you were able to imitate Udo Kier's Yuri voice, at least partially! Programmers: Ares DLL is still being worked on and if you think you can help, you might want to read this. You'll need a knowledge of C++, Microsoft's C++ compiler, Microsoft Visual C++ 2008 Redistributables, the Microsoft Windows SDK and a Git client for that. Music Composers: While the primary soundtrack for all four sides is complete, we'd like to add more music for in-game characters and missions to improve the campaign experience. There are various plans for this branch, e.g. themes for heroes, but with limited resources, we'll be grateful for any sort of input here. 3D Artists: From simple environmental objects, animations, ingame buildings to renders and CG cutscenes, if you want to help us somehow, please message us. People who can create new buildings graphics and animations are most required at the moment. Terrain Artists: We'd like to have old terrains redesigned and new elements created to improve Mental Omega map and mission design and level of detail. Voxel Artists: Right now all four sides have had their units designed, but we have further plans for the future, which will require assistance from good voxel artists. More tanks! Ships! Planes! Graphic Artists: Drawings, UI design, concept art, promotional art. Translators: We'd like to add more languages to Mental Omega (English, Russiand and Chinese being the currently confirmed ones). If you're interested in translating the mod into your language, message us. If Yuri's Revenge has already been translated into your language, you'll only have to work with 20% of the amount the original stringtable had. We do not plan to create voiceovers in various languages: all voices will be available in English. If you'd like to help us in any other way, please message us. To get in contact with us, either send an e-mail to mental.omega.apyr@gmail.com or PM Speeder at Revora forums. Of course, people who contribute to Mental Omega will get access to the internal beta.